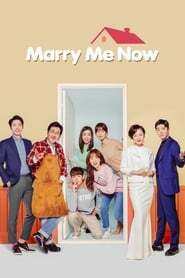 Nonton Marry Me Now Episode 2 Sub Indo – Park Yoo-Ha studied hard in medical school and finished her intern course. She works hard to become a doctor due to her father. Her father raised 4 children by himself and her oldest sister also sacrificed for the family. Park Yoo-Ha is not interested in other people. Suddenly, her father marries a woman rich enough to own a building.